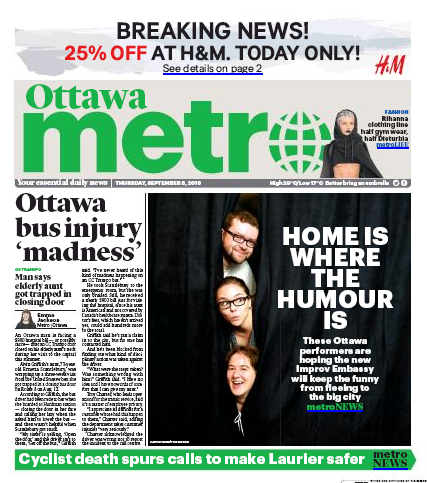 “Could it be that Ottawa isn’t the city fun forgot, but the city that funny people abandoned? 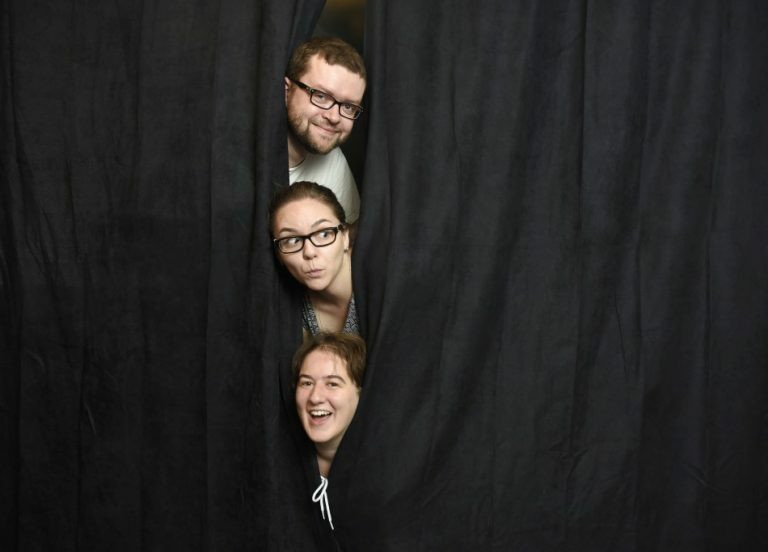 Three improv performers in Ottawa are hoping that a new comedy hub will put an end to comedians leaving for funnier pastures in Toronto.” Read more. Directors Dani Alon and Val Perelshtein were featured on CBC’s Ottawa Morning, talking about the differences between improv and standup. You can listen here. Director Chris Hannay was on CKCU’s Morning Blend where he talked about how the Improv Embassy came together. You can listen to that here. And communications co-ordinator Diana Devlin talked to Apt613 about all the things improv can be. See you all on Saturday for our open house!